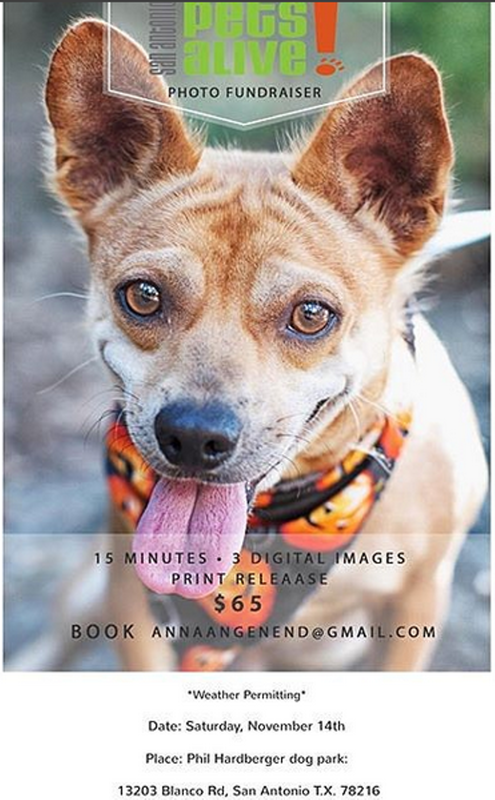 Join San Antonio Pets Alive and Anna Angenend Photography at Phil Hardberger Park for a photo fundraiser benefiting SAPA. Pet photography sessions will include 3 digital images and a print release. There will be a limit of 3 pets per household.